It’s good to know that the official name for Windows 8 Release Previews (Consumer and Developer) will be Windows 8 and Windows 8 Professional, applicable for PCs and Tablets – for 32 and 64 bit. Windows 8 will be appropriate mostly for regular Consumers and utilize all the updated features especially the support for multiple monitors, updated Windows Explorer and Task Manager. On the other hand the Windows 8 Professional is designed for business use that would be of best interest to explore the new features of encryption, virtualization, PC management and domain connectivity to the network. Let’s face it, some Users might like the new looks/features and some won’t. The good news, there are workarounds to get back what’s missing and changing to the Classic Shell from the full Metro Start screen by using registry edit or thru a third-party application. If you own a Windows 8 Mobile phone there are similarities on the Apps layout and icons. 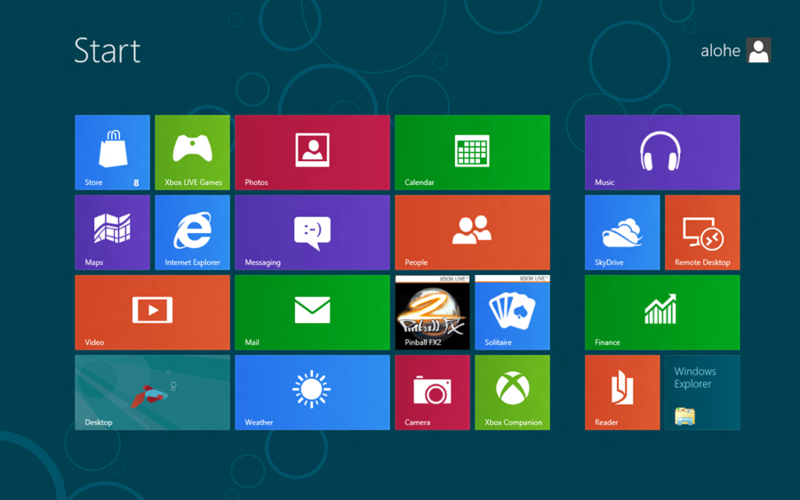 For someone that’s fond of all the trendy technologies, you’ll like the new Windows 8 appearance. Windows 8 Professional will be great for business use – Network Administrators, Business Users and Technology Enthusiasts will like the reliability, effectiveness, enhanced security and performance in network connectivity would be more crucial. Whether you’d prefer the touch pad or mouse and keyboard, the new Windows 8 has this capability. I like a clutter free look of the desktop, for me I don’t need to see all the colorful Apps. If you click on the Desktop App from the Metro ui, then you will get a clean/plain desktop. If you are wondering where all the Programs and Applications are hiding, move the mouse to the left bottom corner of the screen until you see a square box with all the colorful apps (Metro Start thumbnail)….right click on it then you’ll to see all the Metro Start-up/Pinned-up Programs and Apps. If you want a Windows 7 look you may download the free utility called ViStart. You may also try tapping the Windows Key-R on the desktop without downloading any utilities. 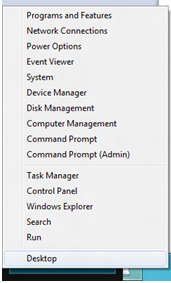 If you want more of the Start Menu look, you can add a popup list of Libraries, Computer, Control Panel, and Network by right-clicking on the taskbar then choose Properties then Toolbars and then check the Desktop check box. If you want to convert to a Classic look, Windows 8 Developer Preview has a registry edit to switch to the Classic Shell. It is always risky to modify the registry, make sure that you do the back it up first. Hotmail integration with Windows 8 seems to be a cool feature. I use my Hotmail all the time, now I have the App in my computer. As a Network Administrator I’d like easier tasks, well who doesn’t? 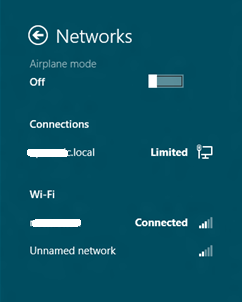 I’ve found out and experimented that it is very easy to join a Windows 8 into the Domain – both wired and wireless. 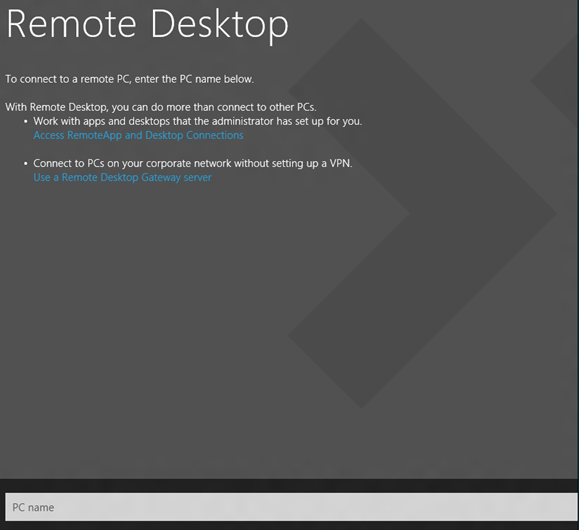 Having said all of the above, I took some captures of the new Windows 8 CP features, some of these will be of best used for me. I think that I’ll get used of all the new looks eventually, as long as I can find them and function easily.